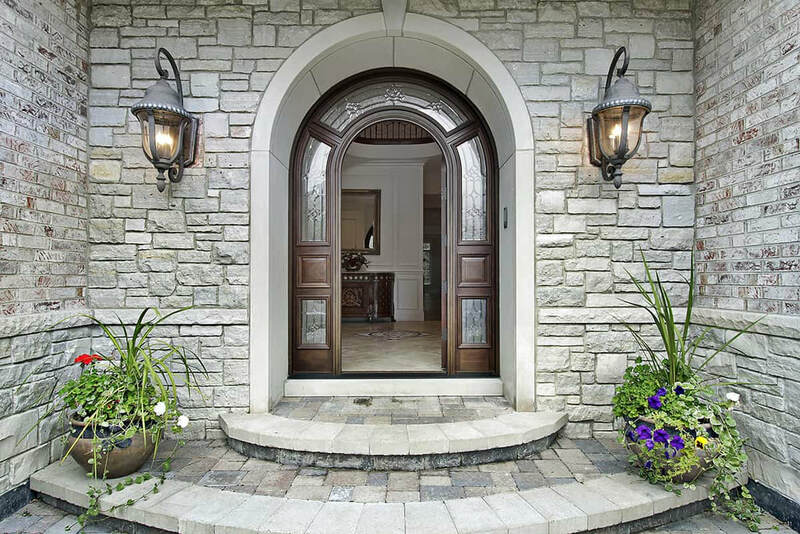 In this page, Authentic Stone Creations – conveniently located in Lexington, Kentucky (KY) – is here to talk about residential and commercial entrances in Lexington, KY. We proudly offer a wide selection of stone and masonry services, so contact us today! The point of entry is meant to draw people in and provides the first impression for guests. For residential and commercial properties, the curb appeal has a lasting effect, so it is beneficial to create a stunning entrance. Entry enhancements will lead visitors to the front door in style. You can make your entryway standout and bring attention to the façade. You can improve the outside of your home or business by upgrading the entrance. Contact Authentic Stone Creations today to learn more about residential and commercial entrances in Lexington, KY.
Walkways lead guests from the street to the door. While it is functional, it can also be stylish and act as an attractive feature for your property. Paving stones, bricks, or concrete slabs provide a striking guiding path that is sure to draw eyes. Standard residential entrances tend to lack personality; however, you can modify yours in order to fit your sense of style with a custom masonry project. We can use stones, concrete, and brick to create the entry that you have been dreaming about. We can expand the size of your porch or elevate the architectural elements of your home. We are also available for masonry construction for commercial entrances as well. Whether you have a long driveway that needs a beautiful stone sign or something else to draw your customers’ eyes, we can help you set your business apart. Authentic Stone Creations specializes in residential and commercial masonry. We have over two decades worth of experience which gives us the capability to handle any project with professional and precision, no matter the type of design. We utilize only the highest quality of stone and brick materials as our team strives to create a finished project that is built to last. Our contractors are dedicated to conducting our services in a respectful manner. By listening to the wishes of our customers, we can deliver the results they desire. We are a licensed and fully insured business, so you can have complete faith that your property is in good hands. We are located in Lexington, KY to provide our masonry services to the surrounding area. Call us today to schedule an appointment.